So many studies have shown benefits from curcumin supplementation that a number of pharmaceutical laboratories are trying to patent synthetic products which mimic its mechanisms of action! To boost your immune defences, the natural immune-stimulant effects of shiitake root (Lentinus edodes) may also be of interest. Discover, too, our other Ayurvedic nutritional supplements including Psyllium Seed Husk, for facilitating intestinal transit, Triphala for detoxifying the gut, and the powerful formulation Amrit Kalash®, for general well-being. 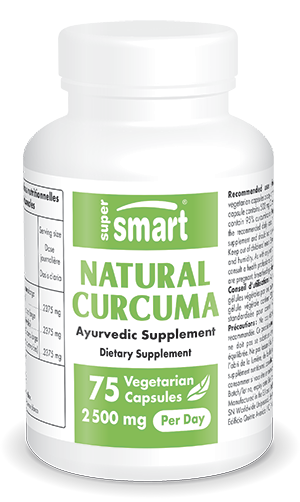 Each vegetarian capsule contains 500 mg Curcuma longa standardised to contain 95% curcuminoids.